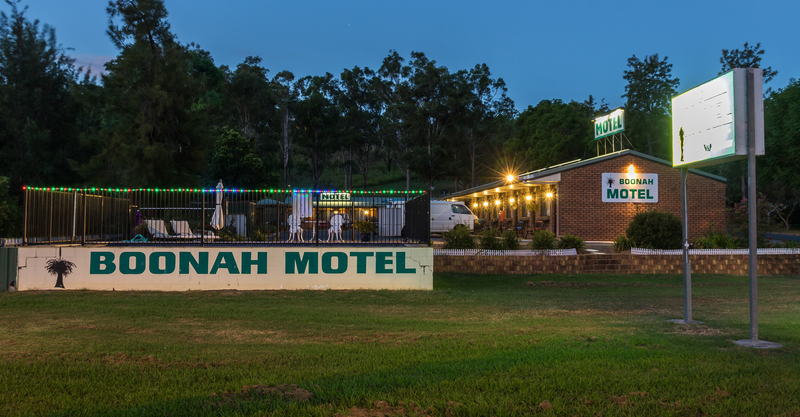 Boonah Motel accommodation is everything you would expect in a top quality 3.5 star rated motel suite, plus much, much more. 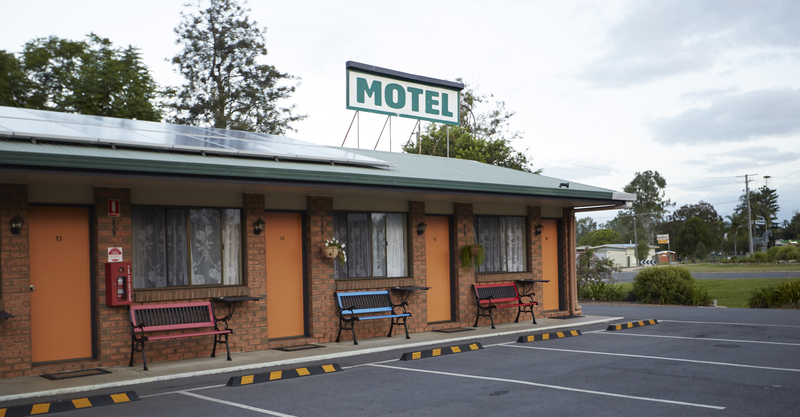 All rooms are on ground level with convenient on-site parking. 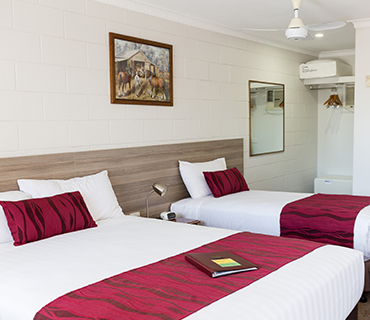 Our rooms are maintained to a high standard and are serviced daily. 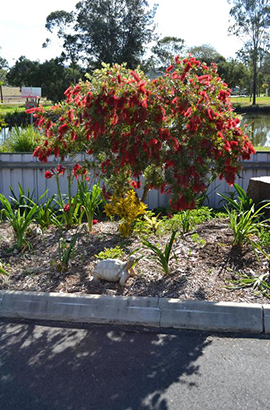 The property features all the guest facilities you would expect, plus much more, including free DVD library, free WIFI, a sparkling in-ground pool, covered barbeque area, pergola area, and an absolutely stunning view over the adjacent parkland lake. A Queen bed with quality linens and a touch of class. 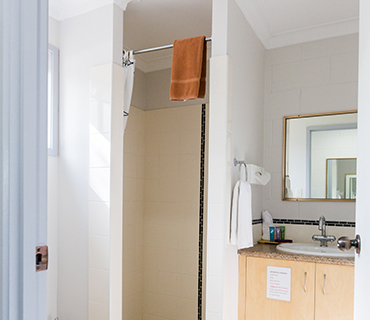 The units are well appointed with modern digital TVs and DVD players, air-conditioning and comfortable lounge setting. Just a gentle stroll to pubs or cafe's. 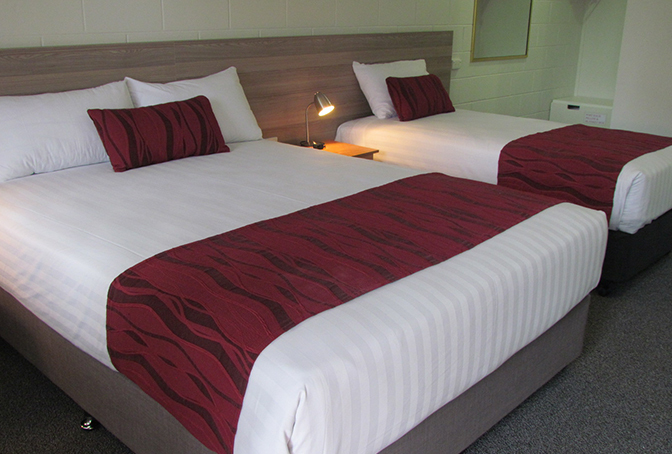 The Queen units are ideal for couple looking for a weekend getaway. 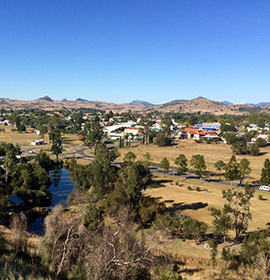 Imagine the sun setting over the tranquil parkland lake next door while you enjoy the sounds of Australia. 2 or 3 Guests in 2 Beds. Queen and Single bed. Ideal for two singles or a couple and 1 single. 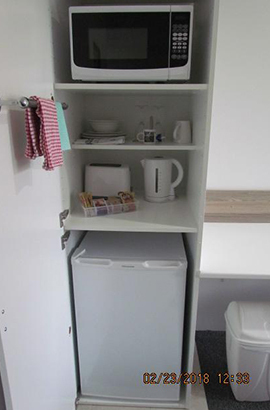 The units are air-conditioned, heated and well-appointed with modern TV and DVD player, tea and coffee making facilities, microwave and bar fridge. DVD hire and WIFI is included in the tariff. 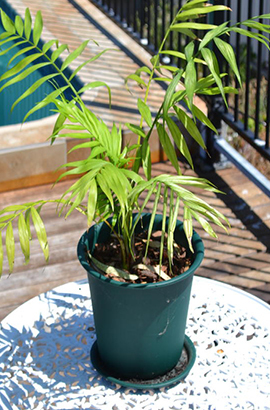 Complimentary tea and coffee; use of pergola, Bar BQ, tools and equipment use of pool and towels. Free off-street parking. 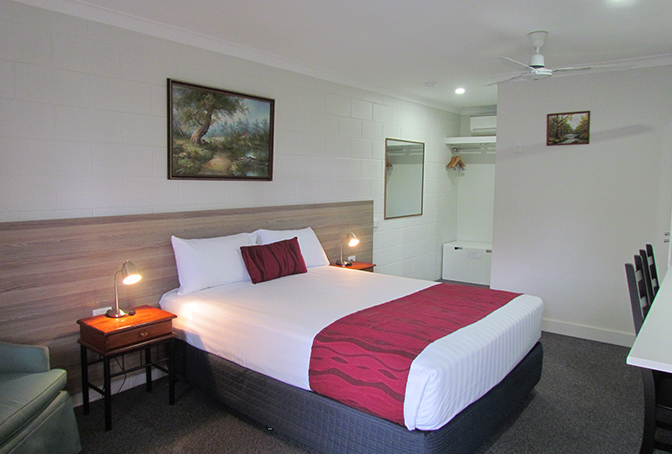 Clean, fairly modern, and well equipped room. Microwave is a definite advantage here as many places in town close at 6pm, but you can get some decent prepare meals from the local IGA which is just a 10 minute walk.Hosts are friendly and more than willing to offer advise when asked. We stayed here overnight, with our family, in quadruple room (4 beds). It's the cleanest motel we've stayed at with hotel comforts. 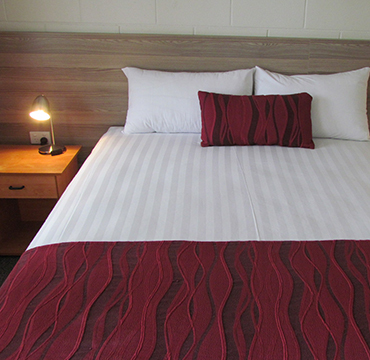 Beautiful fresh, crisp linen and towels and super comfy beds and pillows. The managers (or owners) are also very friendly. We were in the area for a sporting event and stayed there for three nights. Very clean and tidy. Beds very comfortable. The pool, although small, was very refreshing. The owners were very obliging and returned a call to help us book in 2018 for our next sporting trip.